Horror comics are becoming more and more frequent in our reading culture, and the Ghastly Awards are here to recognize, through peer nominations, those that shine the brightest. As a matter of fact so far this year, this entire list of titles (and some self published books) have already come out. 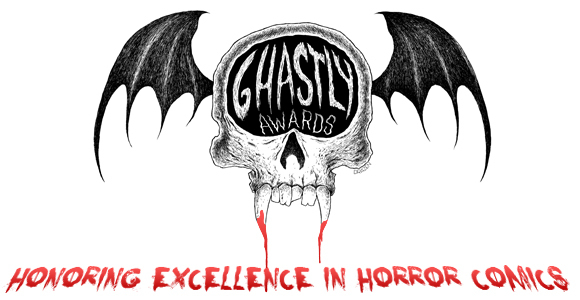 We encourage all Comic Creators to take the time to head over to www.ghastlyawards.com and nominate those who you think are the best so far in your eyes.